Located in Southeast Asia, the Philippines is an archipelago comprised of over 7,000 islands situated at the eastern border of Asia between the South China Sea and Philippine Sea. Home to one of the longest coastlines in the world, the Philippines boast a huge range of stunning beaches, one of the many attractions that continue to draw thousands of tourists every year. Renowned for its affordability, the Philippines are a friendly holiday destination that offers a fascinating yet laid back culture and an interesting range of authentic cuisine. Similar to Bali, some of the Philippines' more famous beaches have become the life of the party, such as Boracay, there are plenty of other ways to enjoy the beauty and culture of the Philippines including sparkling malls, colourful fiestas, modern cities and colonial architecture. 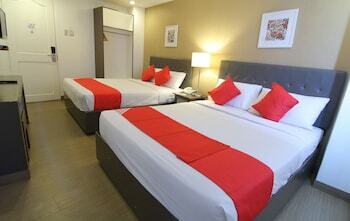 Philippines accommodation ranges from standard hotels and motels to condotels, apartelles and even inns and B&Bs. 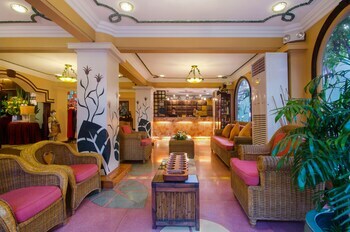 Hotel style accommodation is quite affordable, particularly compared to many other international destinations and offer a high quality accommodation experience. 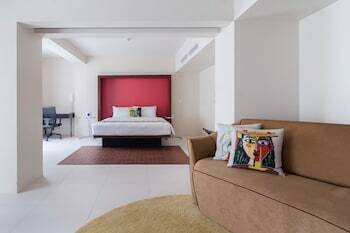 Hotels are the most popular type of Philippines accommodation for Western visitors, however the furnished rented condominium units and apartments known as condotels and apartelles respectively also offer a convenient and more economical accommodation option, particularly for longer stays. Most hotels are located in the more popular tourist areas and are conveniently situated close to shopping, dining and attractions. Whether you're there to soak up the culture, soak up the sun or perhaps a bit of both, Philippines holiday packages are the ideal way to make the most of your time in this picturesque Asian nation. From the beach party atmosphere of Boracay to the natural attractions, ancient churches, fascinating historical sights and modern shopping malls of Manila, there's plenty to experience in the Philippines. 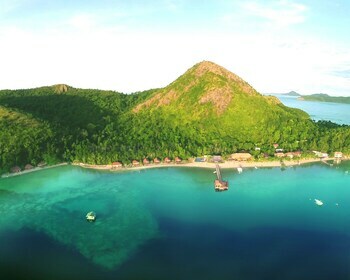 Whatever your travel needs, there's a great range of Philippines holiday packages available that combine flights, accommodation, transfers, travel insurance, tours and activities and even meal plans into one discounted package that offers an affordable and coordinated approach to your holiday. The Philippines is home to a wide range of popular tourist attractions, from UNESCO World Heritage sites like Batad's Banaue Rice terraces, Asia's only European colonial town in Vigan and the Baroque churches of Milan. There's a vast cathedral and Asia's only all steel basilica and church as well as a number of other religious sites and historical sites such as Bohol's Rizal Park, Blood Compact and Intramuros. Manila offers a number of museums while the Philippines' beaches are always a popular way for tourists to spend their time however when it comes to nature and wildlife, the region offers some stunning coral reefs as well as some rare plant and animal species including a monkey eating eagle, the alien-like Tarsier as well as the Waling-Waling orchid, one of the world's rarest and most expensive flowers. The total area of the Philippines measures approximately 300,000 sqkm, making it roughly equal in size to Italy. Located on Mindanao Island, Mount Apo is the Philippines' highest point reaching a maximum height of 2,954m. The Philippines is home to over 200 volcanoes, however the majority of them aren't active. The Philippines flag is the world's only flag where the colours can be reversed. During times of peace, the blue band is featured at the top of the flag while the red is featured at the bottom, however in wartime these colours are reversed. Approximately 80% of the Philippines' population are Catholic and their Christmas celebration is the longest in the world, beginning in September and lasting to the end of January.